The agave is an unusually complex plant. Prior to the domestication of corn, it’s what the indigenous inhabitants of Mexico lived on: fiber, fleshy solids, pulque from the sap. It produces correspondingly complex distillation material, which is why it makes such a difference that Oaxacan artisan producers include the solids (unlike tequila). The Los Nahuales mezcals are distilled from the cultivated agave espadín, the most common domesticated agave in Oaxaca state, The espadín takes some ten to twelve years to mature and, when harvested, weighs up to 160 lbs. 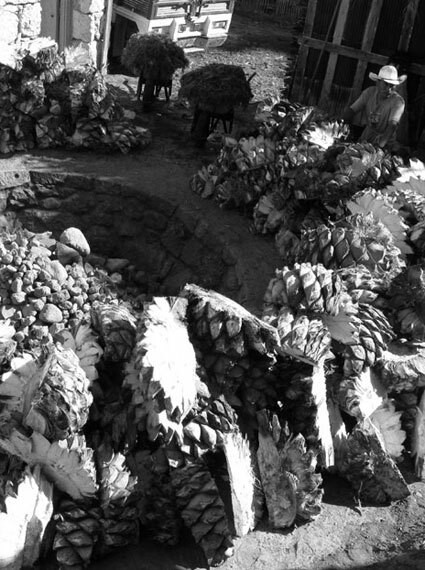 Los Danzantes also occasionally produces limited bottlings using other agaves, such as tobalá and dobadán (Americano), but they are seldom exported. We use these uncommon agaves in the Mezcalero brand.